For a better view of the map, it is left at this size even at the expense of valuable space. Please scroll down for the means of travel to the town. San Julian can easily be reached from any point in the world. There are three international airports in the Philippines the biggest of which is the Ninoy Aquino International Airport in Luzon Island, the other two being those at Cebu City in Central visayasand Davao City in Mindanao in the South. 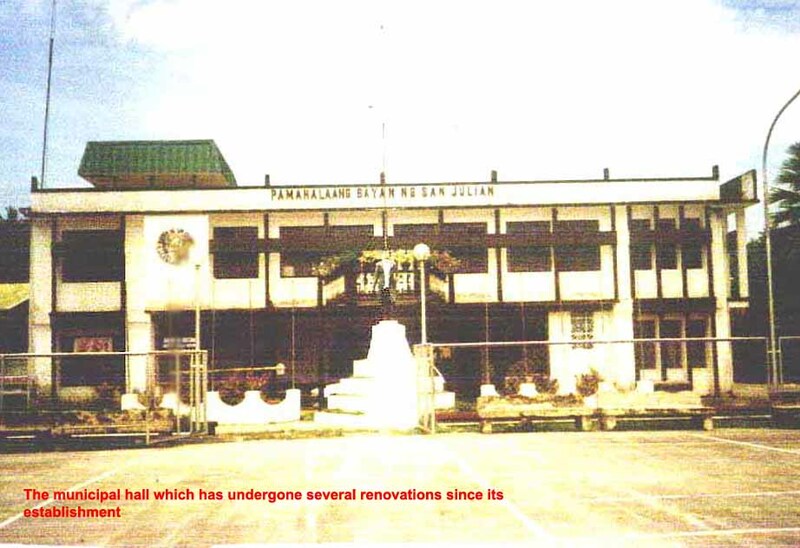 For one coming from any of these airports, Tacloban City airport in Leyte is the next stop. From Tacloban, there are buses, mini-vans and private jeepneys one can take to the town. On this trip, one crosses the San Juanico Bridge, a long stretch of a bridge connecting Samar and Leyte islands. From the bus station of the town, one can hail a tricycle to take him or her to the final destination. For those who are adventurous in nature, a bus travel from Manila might be a bit arduous but the blessings are the different landscape views that can be seen along the way. Mt. 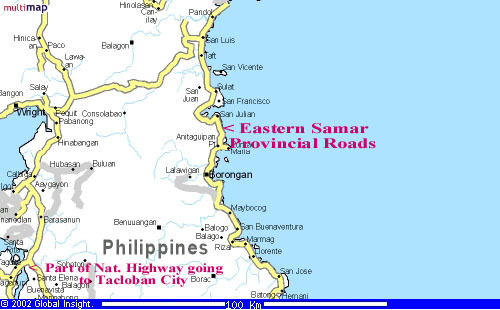 Makiling in Binan, Laguna; the Pacific coast along Quezon Province; Mayon Volcano in Legaspi, Albay; San Bernardino Strait between the island of Samar and Luzon and the deep forest of the island of Samar. Consider yourself lucky to see the Philippine eagle as you approach the town of Taft coming from the west. Groups of monkeys too are a thrill to see swinging from tree to tree. 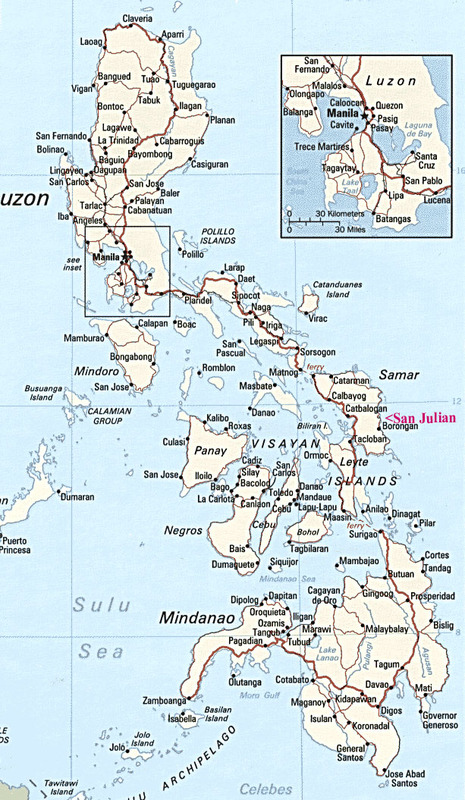 At the tip of the island of Luzon is the town of Matnog in the province of Sorsogon. To cross San Bernardino Strait to the island of Samar, a ferry boat will bring both passengers and vehicles across and that is another adventure in itself. The ferry boat will either stop at Allen or San Antonio and from those towns, your bus or any vehicle will travel down to Catarman, the capital town of Northern Samar and then to Calbayog City in the province of Western Samar and on to Catbalogan, the capital town of Western Samar. 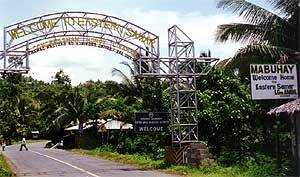 Buray in the town of Wright, otherwise called Crossing, is the place where the National Road and the Provincial Road of Western Samar converge. Once one reaches the town, again, from the local bus station, one can hail a pedicab or tricycle to go to her/his destination. The town wishes good luck in your adventure and will gladly welcome your visit.